Get away from the daily grime. 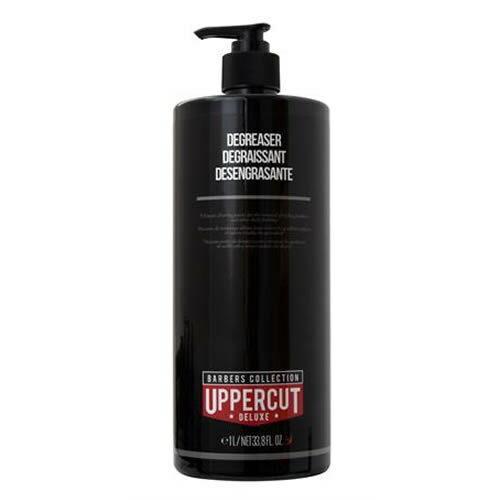 Uppercut Deluxe Degreaser is specially formulated to take on the greasiest and grimiest heads of hair. It's suitable for the removal of all styling product build-up and other kinds of daily grime. What's more you can use it on wet or dry hair. For best results it should be used in conjunction with Uppercut Deluxe Conditioner. Comes in a backwash-friendly 1-litre pump-bottle.